First for Florida is one of the leading independent travel companies specialising in Florida Holidays. We have a wide range of major Charter and Scheduled airlines to choose from as well as over 10,000 Hotel and Villa deals. Our aim is to provide you the customer with a truly fantastic vacation in Florida from start to finish at affordable prices. 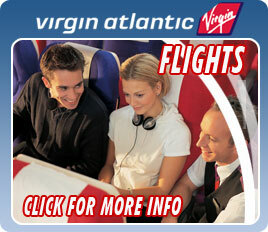 We are not committed to any airline or Tour operator so are totally committed to finding you the best deal. Select from our range of luxury cars and four wheel drives including sporty convertables or powerful air conditioned four wheel drives. View our exclusive range of Florida villas including Disney area villas, Bass lakes, Indian Pointe, Highlands Reserve and many more luxury locations. First for Florida specialize in the Usa and Florida area, and as such know that no Florida holiday is complete without the chance of experiencing the magic of Walt Disney World Florida and all its theme park attractions. We sell an amazing selection of Disney attractions and theme park tickets such as the 7 Day Disney Hopper or the 2 Day Universal Escape ticket. Planning a Florida vacation then why not do it in style. We offer hotel and resort accommodation in some of the best location the sushine state has to offer. Exclusive, reservations-only attraction offering a once-in-a-lifetime oportunity to swim with dolphins in a tropical paradise. First for Florida is a trading name of The Freedom Travel Group Limited. Registered in England and Wales with number 3816981. Vat no. 403 3146 04. Limited is part of Co-operative Group Limited. All material on this website is Copyright © First For Florida 2004. All rights reserved.